We’ve just arrived back from Oderwitz. It was a rest rather than work trip this time, however we made one or two stops. 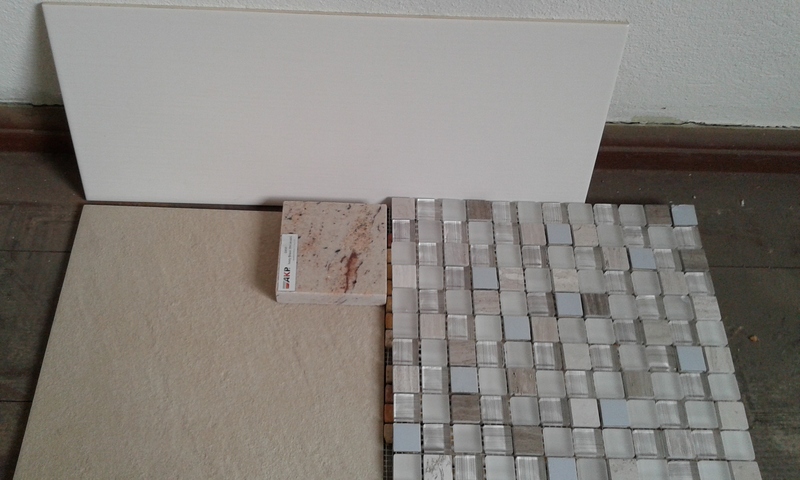 One at OBI and the Tile Proffi next door (in Zittau), and one at the kitchen shop, Kuche Architec, (in Oderwitz), that was it. (Being sick helps one organise time very efficiently! Knowing what we wanted before we left helped too, and this was easy to do in the hospital on their wi-fi (I’ve had quite a lot of down time there recently- but all on the mend now). 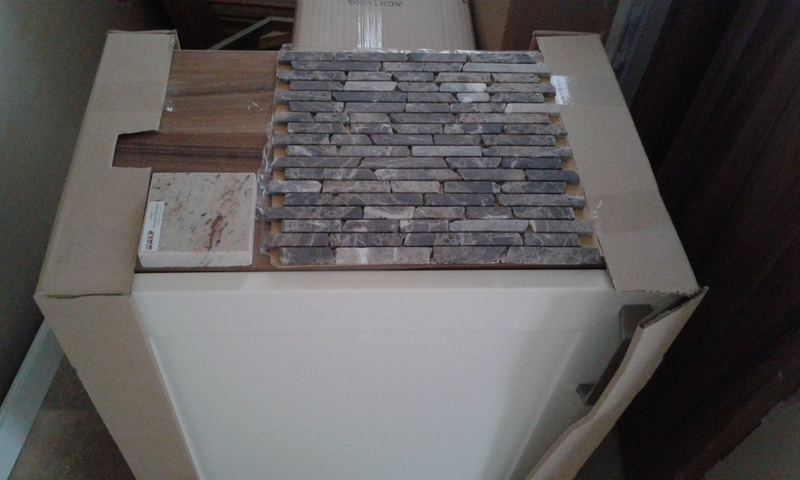 The top picture is the choices for the bathrooms (1 bathroom and 1 toilet), and the bottom is the kitchen splash-back, the same stone will be used for both benches. 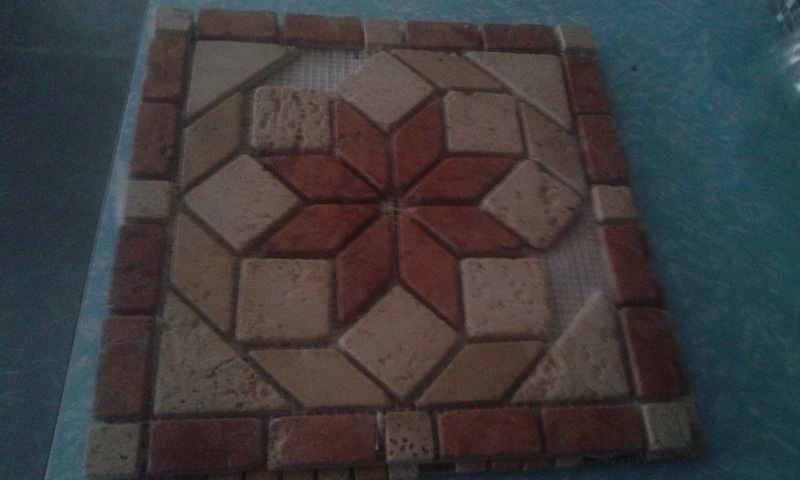 We found some nice travertine, but we’re keeping it for the bottom.